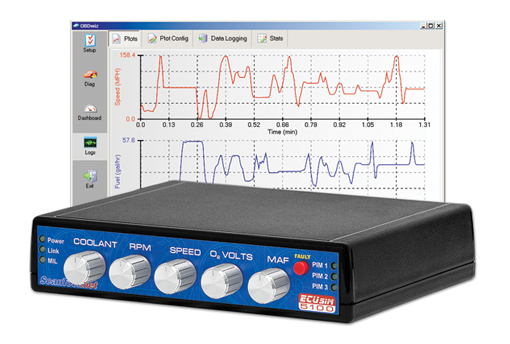 The multiprotocol ECUsim 5100 supports all legislated OBD-II protocols. We offer multiple Plug In Modules (PIMs) that allow you to run up to three protocols simultaneously, or quickly switch protocols on-the-fly. These features are very useful for production testing, automatic protocol detection and more. It comes in a small, lightweight enclosure that won’t take up much workbench space, and is rugged enough for mobile applications.